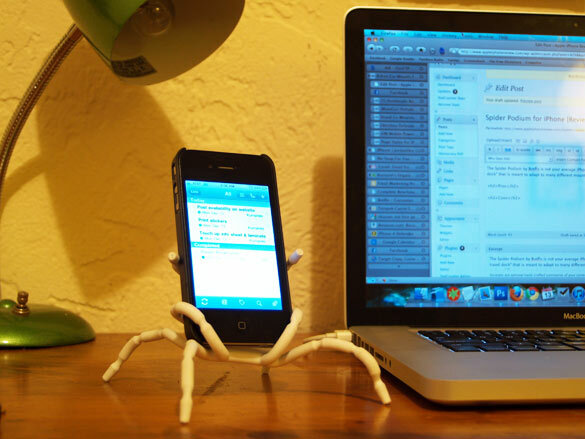 The Spider Podium by Breffo is not your average iPhone stand. It is advertised as a “flexible gadget grip and travel dock” that can adapt to many different mounting situations. So how does it fare in the real world? 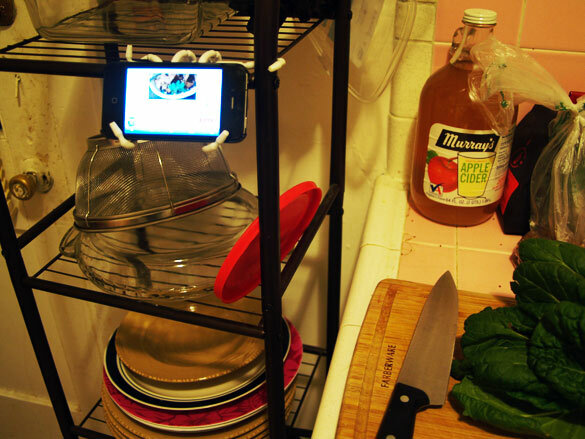 You’ve got to hand it to Breffo for coming up with such a creative mounting solution. The Spider Podium has, as you might expect, eight legs that are multi-jointed and extremely flexible. 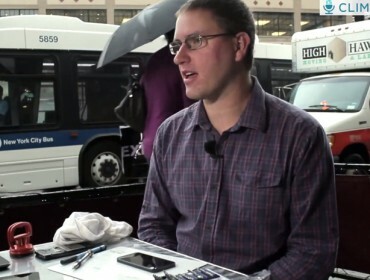 It will hoist up any generation iPhone, including those with cases. And the possibilities for mounting with the Spider Podium are nearly endless. 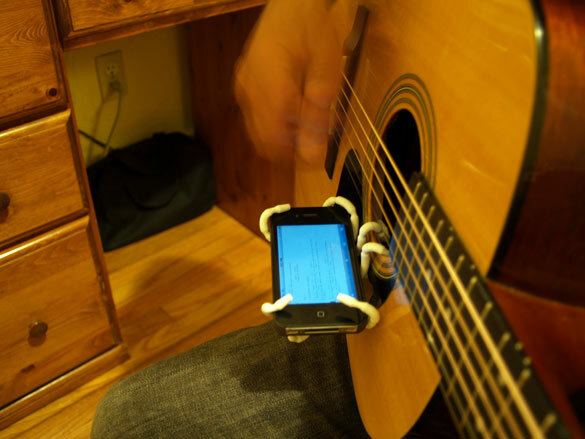 or even hang it from the soundhole of your acoustic guitar while you read the lyrics to a song you’re playing. The Spider Podium is great for creative people because it’s like play-doh with a purpose. Once you use it for a few days, you’ll start to come up with unique mounting setups for a number of different situations. So it’s great for creative people, but for the rest of us? As my friend who observed me using it said, “seems interesting, but not practical.” The one problem with the Spider Podium is that it takes some time and some fiddling around to get the podium mounted where you want it. When you’re rushing to get on the road, do you really have time to bend a bunch of little parts to get this thing to mount on the air vents of your dashboard? Better to just get a car mount. Nevertheless, you do get a better hang of the Spider Podium the more you use it. And despite the time it takes, there is no other mount as versatile and as fun to use as the Spider Podium. No annoying parts like screws, brackets, etc. Not the most stable mount. Although Breffo advertises it used on a bike, I wouldn’t take the chance.